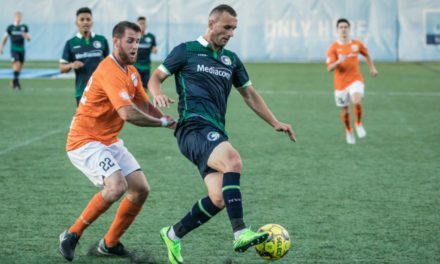 Playing like the Irish juggernaut they’ve morphed into, Lansdowne Bhoys beat Pancyprian Freedoms, 3-1, in midweek in the U.S. Amateur Cup’s Eastern New York final. 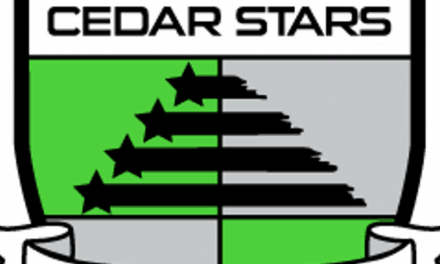 Four days later, Austin Friel’s lads came from behind at Tibbetts Brook Park to edge Cedar Stars Academy, 3-2, in the Cosmopolitan Soccer League’s top flight and end the fall with a bang. The latter victory means that the unbeaten Bhoys [8-0-2, 26] go into the winter break a point behind Shamrock in the First Division. 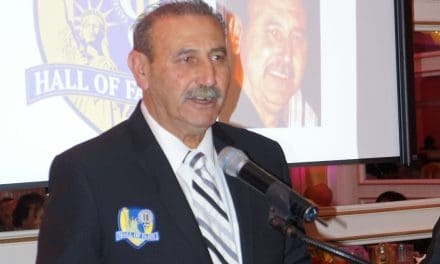 Lansdowne’s Amateur Cup final triumph over Pancyprian at St. John’s University’s Belson Stadium marked its fifth win over the Greek-Cypriots this fall alone. It also earned them a second silverware after last month’s 8-1 drubbing of NY Polet in the Fricker Cup regional final. German Konstantin Mollering lobbed the Pancyprian goalie for Lansdowne’s opener against Pancyprian. Ovan Oakley extended the lead in the second half and after Adam Himeno had pulled one back [88th] for the hosts, pressure by Skele Slyvester forced a Pancyprian own goal. In its fall finale against Cedar, Lansdowne trailed 2-0 to goals by Andreas Chronis and Jordan Ayrus with 25 minutes remaining. Then the three-time champs got going. Gene Volataire cut the deficit to one, Ciaran McGuigan equalized and new signing Yannick Reyering, formerly with NYAC and Pancyprian Freedoms, bagged the winner in stoppage time from an Oakley cross. Friel expressed delight with his entire squad for the effort on the night and through the fall. He also thanked the board and staff for the hard work behind the scenes. Cedar boss Oliver Papraniku felt the officiating left much to be desire. “We out-played them but Landsdowne made a great come back with a lot of help,” he said. Brandon Silva keyed BW Gottschee’s 2-1 comeback victory over Barnstonworth Rovers in its Metro Division Two make-up game on Randalls Island Sunday. “With a strong wind at their backs, Rovers took an early lead after a goal line scramble,” Gottschee’s John Ryding said. Jorge Espanol was the Barnstonworth scorer. However, Silva pegged back that back from a free kick before the interval. He drilled the ball into the upper right corner. “Silva was also behind the second goal on a solo breakaway,” said Ryding. He unleashed a shot that was deflected onto the post and into the net. Gottschee had a great chance to extend the lead but hit the wrong side of the post again. Rovers pushed hard for an equalizer. The earned a late corner goalie Scott “Magneto” Flores was able to comfortably deal with it. Silva had been on target the previous week in a 5-2 romp over Brooklyn Bound at the Verrazano Sports Complex. John Falidas, Dion Amvrosiatos [two] and Edgar Carpoio accounted for the other goals. The two back-to-back wins moved unbeaten Gottschee [7-0-2, 23] to within two points of Metro II West leaders Beyond FC [8-1-1, 25] with a game in hand.